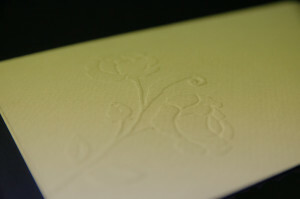 Printing wedding invitations and other printed wedding, baptism, confirmation and communion with Typography Vittoria in Florence. Wedding invitations, tickets for favors, invitations and other printed wedding, baptism, confirmation and communion printed traditional press printing, offset and digital printing and dry relief in Florence. Typography in Vittoria Florence await numerous catalogs full of countless models of wedding invitations, invitations to the wedding reception and cards for favors. Collaboration with the best paper and the best suppliers of invitations, make available a wide variety of models for every printed necessary to the success of your wedding. Besides popular catalogs sourced from third Typography Vittoria Florence offers its own collection of handmade custom invitations. 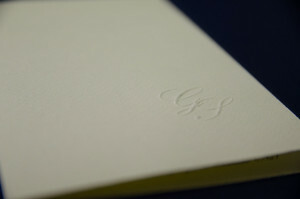 Unique pieces specially designed for couples to newlyweds demanding, that having a clear idea about the wedding invitations they desired, and not being satisfied by the repertoire of models produced in large scale, have given opportunity to Typography Vittoria Florence to express all their potential scale and traditional typography relying entirely for the production of scratch their personalized wedding invitations. Typography in Victoria Florence you can still admire wedding invitations are still printed in traditional printing press, where the pressure of the press is still the mistress creating a wedding invitation and regal character that only the power of tradition that has experienced can donate . The last important aspect to learn the invitations of Typography Victoria Florence is total customization, this characteristic elevates law handouts to real custom wedding invitations in all respects, the choice of paper, graphics and structure of the same. Invitations to the reception and tickets for favors for wedding, baptism, confirmation and communion. Typography Victoria Florence is not only investments, our catalogs include several models of invitations to the wedding reception and tickets for favors for wedding, but also for baptism, confirmation and communion. With the same commitment and creativity made to any work done by the Printing Vittoria Florence they are produced invitations for the reception and tickets for favors from both models “paper mill” disseminated on a large scale, both in traditional print models totally customized printing, offset and digital printing, dry printing and relief. The category of personalized print products collect more and more support tickets for christening favors personalized with photos of little or small, a nice proposal for the baptism of your beloved son.